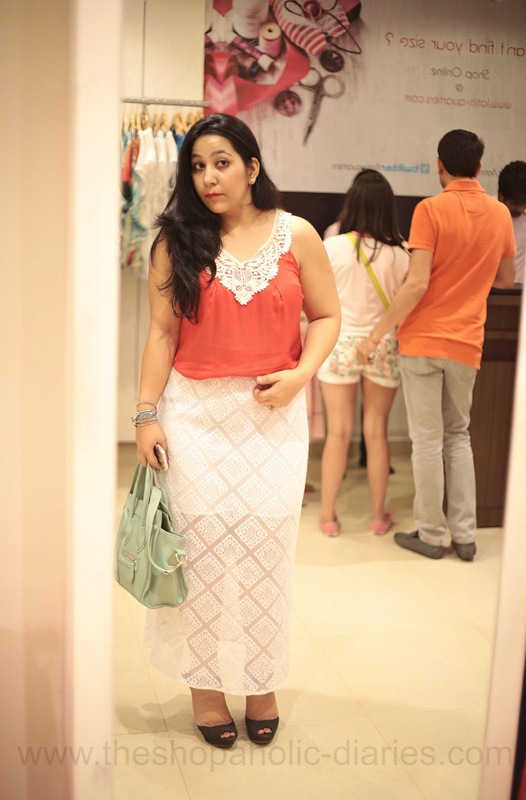 Latin Quarters Stylists-Bloggers Meet - DLF Promenade Mall, Delhi | The Shopaholic Diaries - Indian Fashion, Shopping and Lifestyle Blog ! Hope you all are doing well and enjoying reading the latest reviews. A couple of weeks back I was invited over for an interesting Stylists and Bloggers Meet by Latin Quarters, held at their exclusive store at DLF Promenade Mall, Delhi. 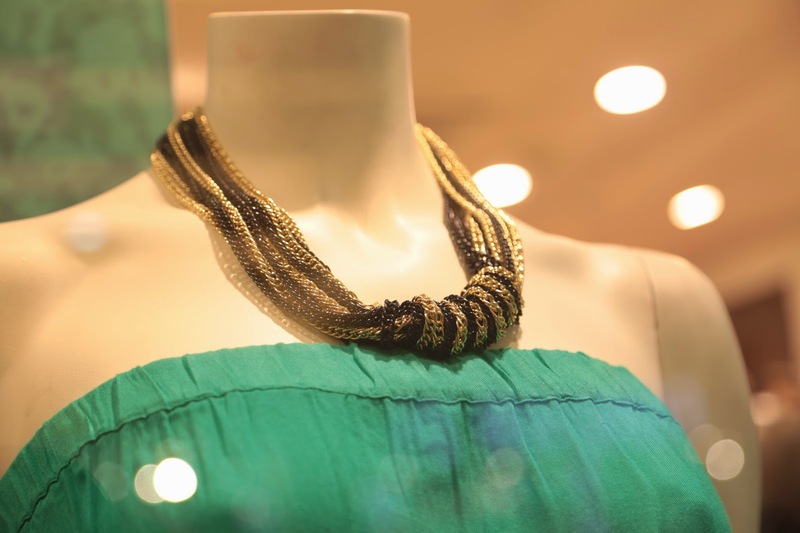 It was an enthralling event of unbridled fashion where the team of Latin Quarters took us through their latest High Summer'14 collection which featured attractive summer dresses, skirts and topwear. We also styled our favorite looks from the brand's latest collection and participated in a fun Twitter contest. While going through the collection, I fell in love with this sheer detail maxi skirt. The intricate lace detailing and short sheer inner has a peek-a-boo effect which looks sensual yet chic. 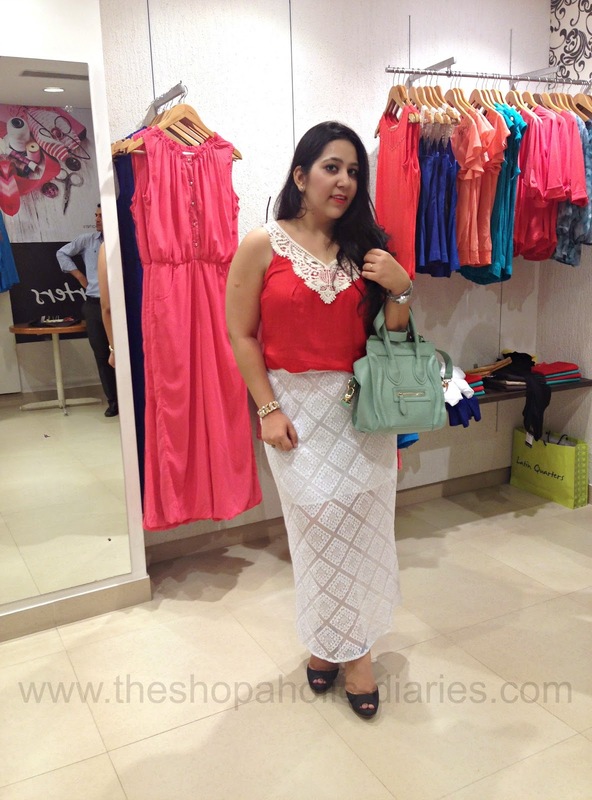 I paired the beautiful skirt with a bright tangerine top having a crochet lace neckline. The collection also includes some amazing, versatile accessories to compliment the clothing collection, that are priced very nominally. The collection has been crafted with sophisticated fabrics and most contemporary cuts amazed the stylists and bloggers. The collection consists of a wide range of pastels, neutrals, monochrome and graphical trends. 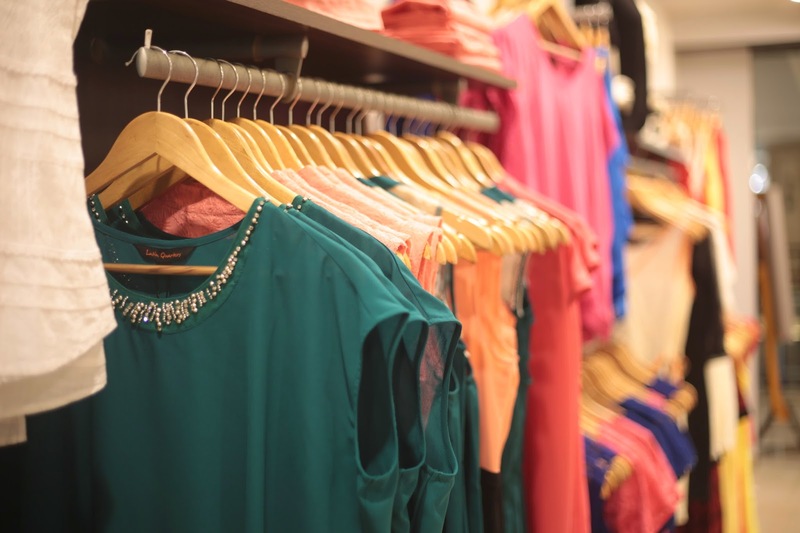 The collections at Latin Quarters include extensive assortments from casual wear to dazzling party dresses to exemplary basics for every occasion. 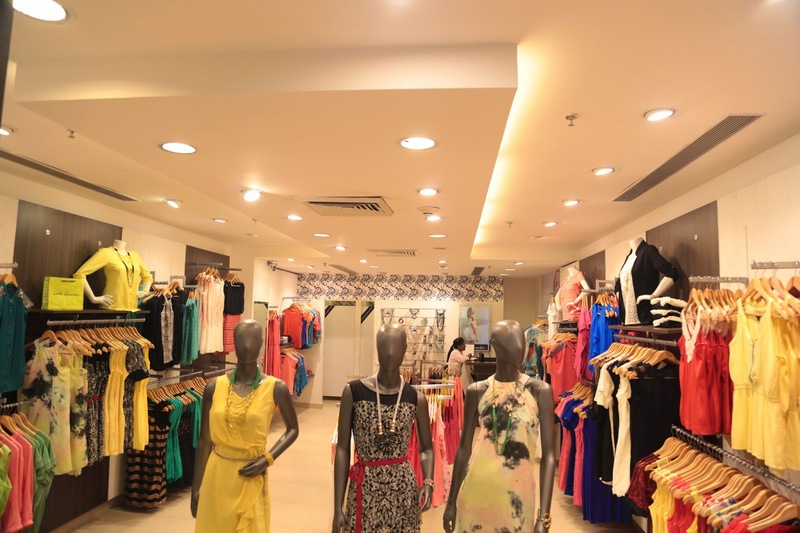 You can visit their exclusive store in DLF Promenade Mall, Delhi, other stores in India or shop online from their website - latin-quarters.com. I like what you are wearing. The collection at Latin quaters look great. Need to visit the store soon. P.S : That white skirts looks great on you.